In order to support the planning application for the erection of an apartment block a Phase I desk study report was required to support the application Demeter Environmental were commissioned to prepare the desk study report. The site history was reviewed using Ordnance Survey maps dating back to 1865 as well aerial plates as well as street level imagery. 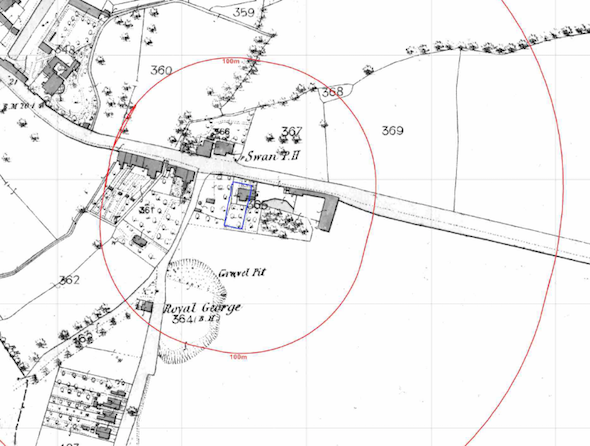 The site has been occupied by a dwelling from prior to the 1865 map, a pond to the east, gravel pit to the south and a water body were all identified on the 1865 map within 250m. A gun and ammunition works was erected prior to the 1909 map, which was approximately 85m north of the site, which was later identified as a works, the works was redeveloped circa 2002 when it was redeveloped to a retail park. Street level imagery from 2008 indicated the site was occupied by a two story dwelling. Data provided by Groundsure indicated that a covered reservoir was present on the site. The sensitivity of the groundwater in the underlying drift and bedrock, as well as surface water receptors were assessed using data obtained from the BGS geological maps as well as the Environment Agency. Given that the site was underlain by a Principal aquifer (chalk) and was in a Source Protection Zone as well as being 30m from a potable abstraction, the sensitivity of the chalk was regarded as high. 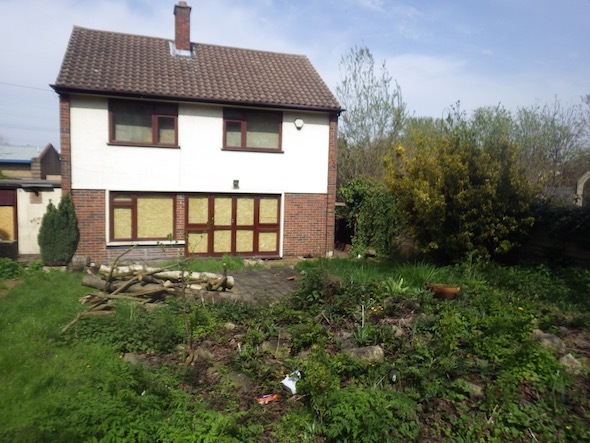 On completion of the desk based assessment, a site walkover survey was undertaken, Which revealed the site was occupied by a two story dwelling and associated garden areas. As part of the walkover survey hand held trial pits were excavated, demonstrating made ground was absent form the garden areas. 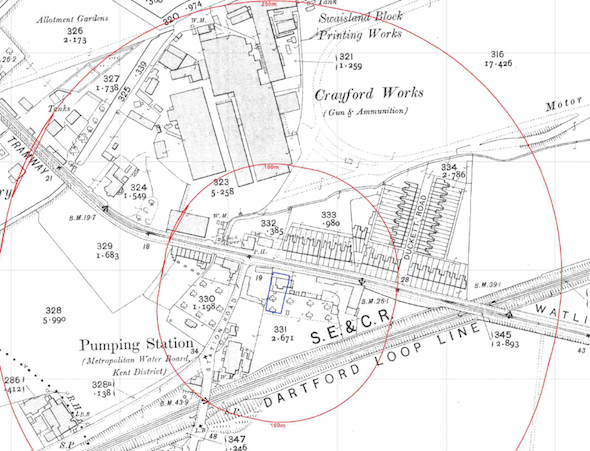 The area of the former gravel pit was visited during the walkover survey, which was occupied by a pumping station and based on observations, no in-filling had occurred. It was also noted that a railway line in a cutting ran between the site and former gravel pit. Based on this information the gravel pit was discounted as a credible source. The reservoir which was identified as being on site was recorded to be present off the southern boundary during the walkover survey, as the reservoir had not been in-filled it was discounted as being a credible source. All other off site sources were discounted a credible sources in the qualitative risk assessment, and as no further credible sources had been identified on site, a conceptual model could not be constructed. Based on this it was concluded that the site did not pose a risk and no further works ere required.